A lot of people have been coming for Charly Boy since supporting Resume or Resign protest. But dude has vowed he is ready to take a bullet for Nigeria. Tribune Editor, Wale Ojo already came for him today (next post) and now Asari Dokubo is telling him in a new video that, it’s his own mumu wey too much. 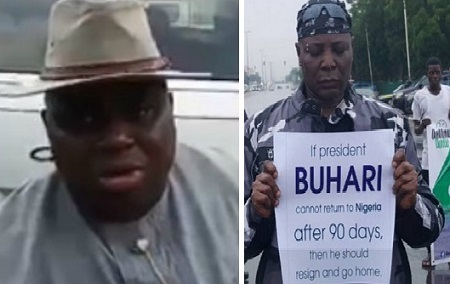 Asari also came for President Buhari saying he is a photo President who people travel to London to take photos with. Watch the video after the cut!